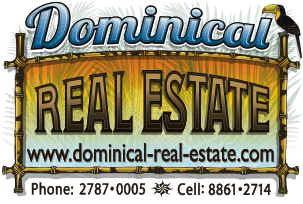 3.43 ACRES - 3 Bedroom Home With Diamante Waterfall Views Priced To Sell!!!! Price dropped to sell quickly! Looking to slow down, and enjoy life, and have a few horses, and sit back and enjoy the view from this 3 bedroom 2 bath hacienda style home that is two stories with a loft, offering stunning views of the Diamante ridge and falls. Or with some simple modifications, convert into an eco-retreat, with organic farming, etc... Plenty of options. Property is set up for horses with a large covered corral, and stables, and fenced in pasture areas, and sections loaded with fruit trees. Location is conveniently located between the beaches of Dominical and the city of San Isidro both approximately a 40 minute drive. The altitude is up over 1,500 feet and offers 70 degree year round temperatures. The surrounding area is a vast area in conservation, and an over abundance of wildlife. Some of the most pristine rivers flow through this valley, and and boast some of the most impressive waterfalls!